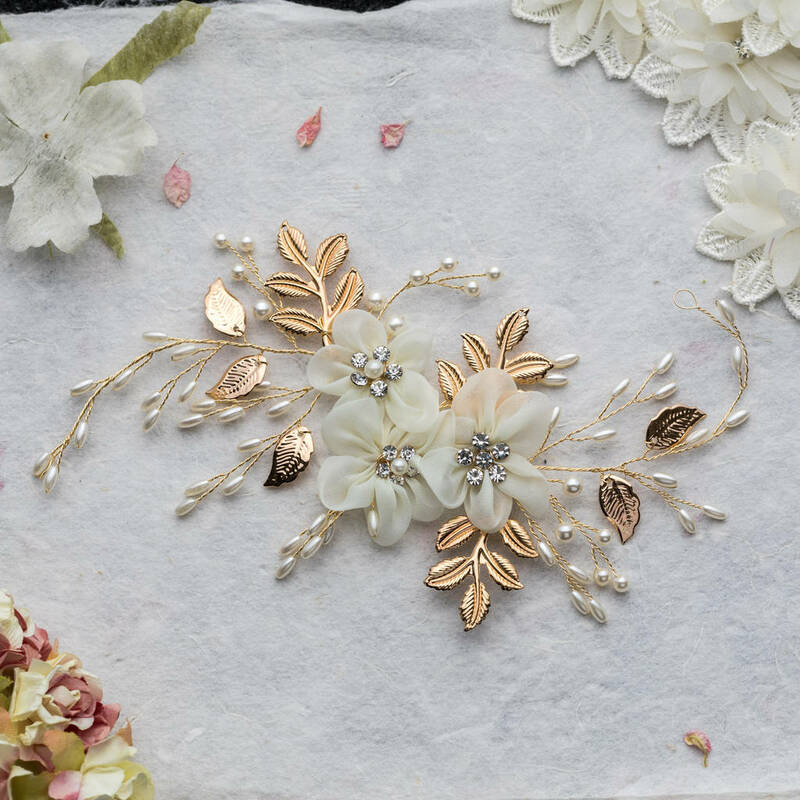 A floral design comb featuring ivory fabric flowers, gold leaves and sprigs of crystals and faux pearls. This botanical hair comb is is perfect for the bride whose wedding is all about the floral decorations. Lola & Alice's collection of gorgeous bridal hair combs comes in all shapes and sizes – from striking hero pieces that are large and crystal-encrusted, to small and delicate versions with a pretty cluster of tiny pearls or diamantes. And there are many options of where to wear them: off-centre, nestled in a chignon; central at the back of a loose, half-up style; placed to the side of a short hair do; or as an anchor to your veil. Made with ivory fabric flowers, faux pearls and crystals on a gold-tone comb.